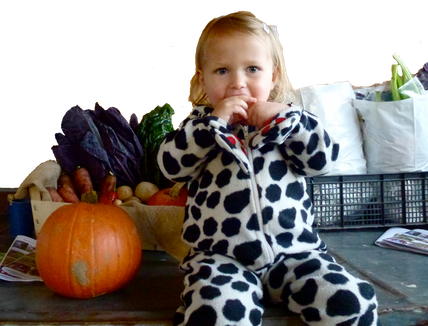 "I can't wait to start�The Little Bugs Club�at�Sutton Community Farm.�What a great idea, I love it!�Let's support local initiatives like this, that's what we keep asking for after all." 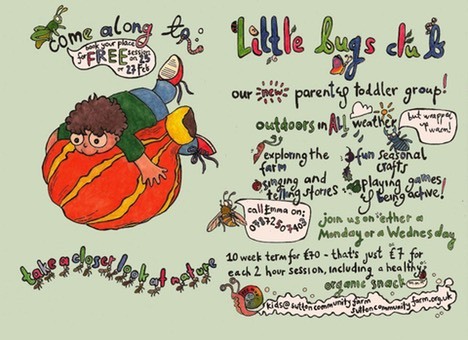 "I'm looking forward to try it out�The Little Bugs Club�at�Sutton Community Farm�as I have a very arty crafty girl and we have an allotment which she loves helping out at." The Little Bugs Club provides toddlers with the space to be as exuberant, messy, noisy and�physical as they naturally are. It can appeal to all their senses giving them the experience of the looks, smells, feelings and sounds of weather, seasons and natural environment. Our two hour sessions are all based around seasonal themes with activities such as treasure hunts, trail-making, digging and plant care, crafts, exploring nature, singing songs and reading stories, providing supported learning through play. We feel that it is just as important for the children to experience the rain and wind as lovely sunshine but it is essential that they are comfortable. We will do lots of energetic activities to keep warm but dressing your child in a number of warm layers and finishing with a hat (covering ears) and waterproof shoes (wellies) will help them to get the most from their time here.�We have a small polytunnel for sheltering in on very cold or wet days and warm drinks are provided. The children will be given a healthy, organic snack (such as carrot sticks, apple chunks, bread sticks etc) as part of each session. Where possible this will be seasonal and sometimes relating to that session's theme.